What is Bg Info Box? Distribution boards with free information about city. What is Bg Info Map? 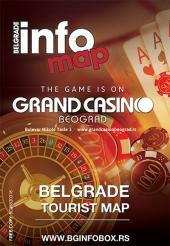 Free map with indicated landmarks of Belgrade. What is Bg Info Night Map? 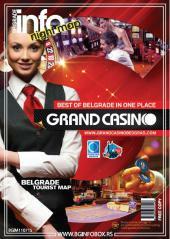 Free map with recommendations for nightlife. What are In your pocket City Guides? 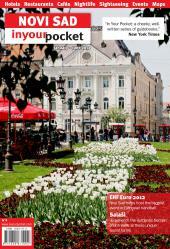 From January 2008 Bg Info Box holds the license for publishing one of the most important European guides - In Your Pocket City Guide. 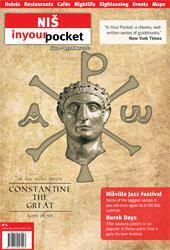 These guides appeared in 1992 and publish inmore than 150 European cities in 25 countries. They contain objective and independent texts with precise information on these cities. 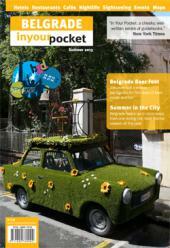 For more on these printed editions, please visit www.inyourpocket.com with over 3.000.000 visits per month. People from all over the world can access them and download all of the informative and commercial content of the guide, even before coming to the desired destination. 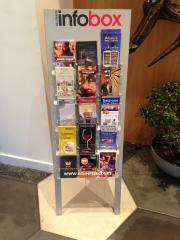 The readers of In Your Pocket guides are business people, tourists and foreign residents. 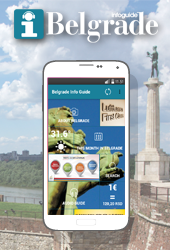 Like the world's metropolises , Belgrade now also has a comprehensive, multi-lingual guide in the form of free offline application-Belgrade Info Guide, available for free on Google Play Store. 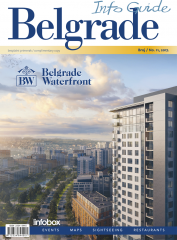 Created as a result of many years of experience and knowledge obtained by working in the city receptive tourism and cooperation with the Tourist Organization of Belgrade,the aplication is a digital version of our homonymous printed guide that integrates information, tips and guidelines for guests of our city. 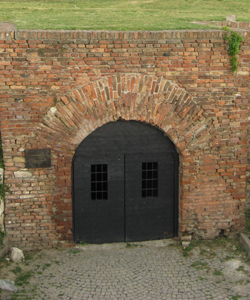 Although it is called "Roman", the well was not made during Roman rule of Belgrade. The Austrians gave its present look to it in the first part of the 18th century. The well is 62 meters deep, while spiral staircases go until they reach the water at the thirty-fifth meter (the origin of water is not known). 27,5 meters tall tower with a working clock was built in the 18th century. During Turkish rule it was used as a watchtower. This tower was built in 1460 as the main watchtower of the fortress. At the beginning of the 18th century it was destroyed. The reconstruction that gave it its present look was done in 1937.